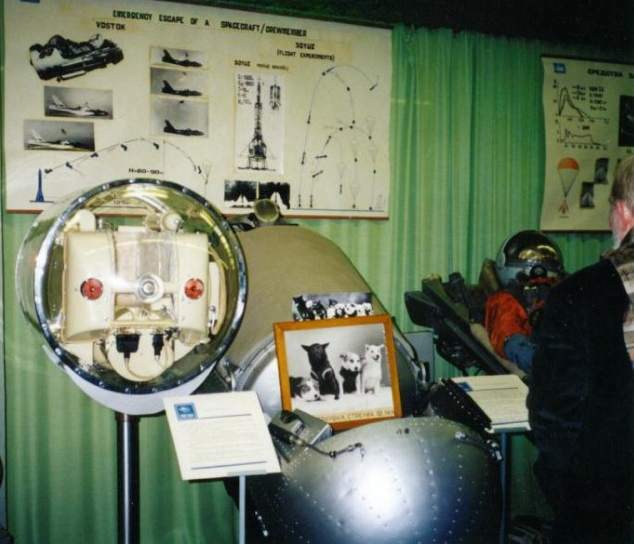 The picture of the dogs was taken during a March 1961 press-conference to provide photo-ops for reporters concerning the most recent dog missions - Korabel-Sputnik- 4 & 5, which were the final test flights prior to Yuri Gagarin's flight of April 12, 1961. I have italicized "orbital" because there were numerous sub-orbital flights between 1951 & 1960. Even though their flights were 6-7 months apart, all 4 dogs were at the same press conference (as well as Strelka's litter of pups). 1. STRELKA (Little Arrow): (co-flight with Belka) one of two orbital dogs who were the first ever to be recovered alive. 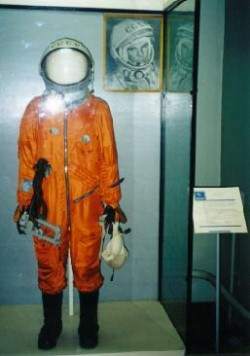 Flight: 18 orbits on Aug 19-20, 1960 aboard Korabel-Sputnik-2 (aka: Sputnik 5). Strelka was pregnant during the mission and later gave birth to 6 healthy puppies. The litter was also at the press conference. 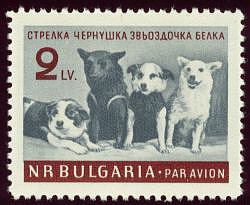 Bulgaria issued a stamp drawn from the picture in the museum as shown in the photograph above. 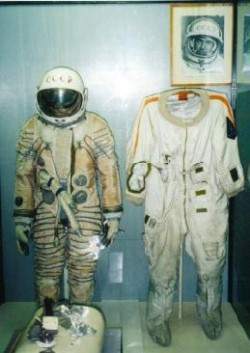 Strelka's body is preserved and is on display at a Moscow Space Museum. 3. 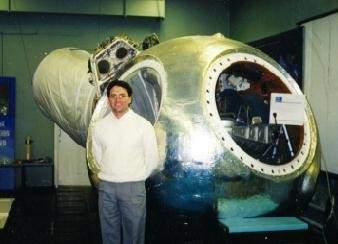 ZVEZDOCHKA (Little Star) - Named by Yuri Gagarin. 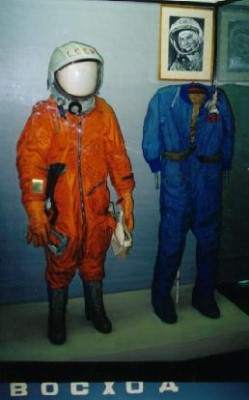 Zvezcochka flew the last orbital flight, about 2 weeks prior to Gagarin's. She flew 1 orbit on March 25, 1961 aboard Korabel-Sputnik- 5 (aka: Sputnik-10). 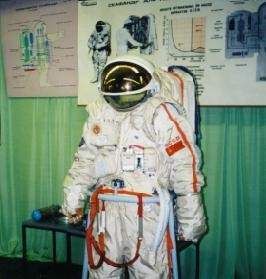 Zvezdochka shared the mission with a wooden dummy Cosmonaut, "Ivan Ivanovich."